Each year, we select exceptional candidates to organize networking events across Canada, host national webinars, represent #CWNSYP on social media and participate in our Blue Cities conference. To volunteer at local events, please contact the committee representative in your region. Jacqueline lives in Edmonton on Treaty 6 Territory. Her love for nature and passion for protecting the environment started when she was introduced to The Lorax by Dr. Seuss. 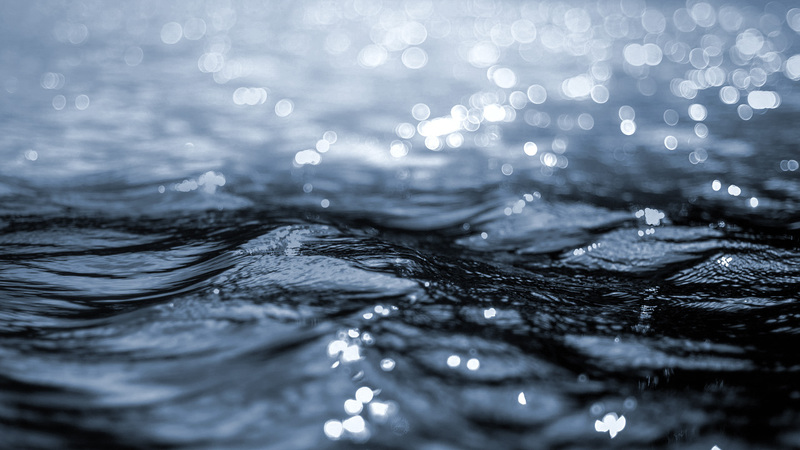 This inspired a profound appreciation for water as an incredible life giving force, beautiful in every form, and essential for development — from cellular to societal. Jacqueline pursued this passion through a master’s degree in environmental health at the School of Public Health at the University of Alberta. Her thesis was on responsible corporate engagement in international water, sanitation and hygiene initiatives, which was informed by engaging with a rural community in Tanzania over three years. This experience reinforced Jacqueline’s regard for the value of a community-based approach in developing water systems. In her current role as a Social Research Coordinator, Jacqueline is gathering perspectives from a variety of stakeholders to inform a national framework for water and resource recovery. Her favourite part of this work is engaging with a diversity of people and learning from them. Jacqueline is an active member of the Students Invested in Health Association, the Edmonton River Valley Conservation Coalition and the Alberta Refugee Health Coalition. When she is looking for motivation she goes for long runs in the river valley, where she is reminded of a quote from The Lorax: Unless someone like you cares a whole awful lot, nothing is going to get better. It’s not. Juliana currently works as a project coordinator for the Green Municipal Fund at the Federation of Canadian Municipalities. In this role, she develops capacity building and knowledge programming to mobilize best practices in municipal sustainability. 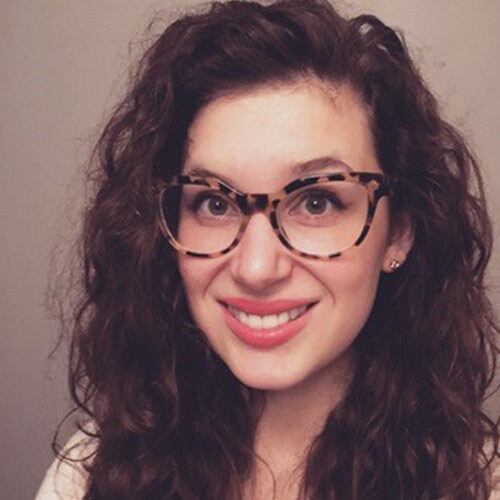 Previously, Juliana worked as an environmental analyst for the Town of Montréal West, and as a biosphere facilitator for Environment and Climate Change Canada. Juliana completed her Bachelor of Science in Environment at McGill University, where she spent a semester studying water scarcity in Barbados. This experience deepened Juliana’s understanding of the multifaceted nature of water issues, which led her to pursue a Master of Science in integrated water resources management. During her graduate studies, her research abroad focused on exploring the tension between the concept and operationalization of water security at multiple scales. Juliana is a huge proponent of knowledge translation to help bridge the gap between research and decision-making. In her spare time, she enjoys running, hiking and travelling. Robbie is a PhD candidate in environmental engineering at Carleton University and Project Lead at Water, Education, Research (WatER). His research focuses on filtration technologies for water treatment, climate change adaptation and the sociological impacts of poor water quality consumption on rural populations. 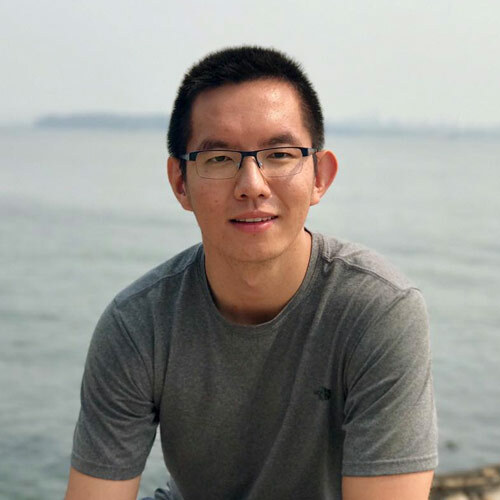 He is currently researching the development of a low-cost water treatment technology for the rural community of Longido in Tanzania, as well as hydrosocial relations in the community. Robbie is passionate about improving access to safe water around the world. He believes that the way to accomplish this goal is to work closely with local people by listening to their needs and helping to facilitate the changes that they want to see in their community. This is why he takes a cross-sectional approach to his research, combining science, art and the humanities to holistically address their drinking water needs. Robbie has worked for the Bill and Melinda Gates Foundation in Pune, India and is a former Queen Elizabeth Scholar. He is also the host and editor of the WatER podcast, where he discusses his research and challenges regarding safe water access. Gillian is an ecologist turned water scientist, and recently completed her master’s at UBC, focusing on aquatic ecosystem services and water quality. She has worked for several organizations, including the United Nations Environment Programme, Ontario Ministry of Natural Resources and City of Vancouver. She currently works as a Project Coordinator for the Lower Fraser Fisheries Alliance. Gillian is also passionate about water policy and science communication. She was a member of the Canadian Network of Aquatic Ecosystem Services, and an active volunteer in her community. Last year, she was also the executive coordinator for Let’s Talk Science UBC. In her spare time, Gillian loves travelling, cooking, painting, swimming and diving. She’s also on a mission to try all the crème brulée in Vancouver. 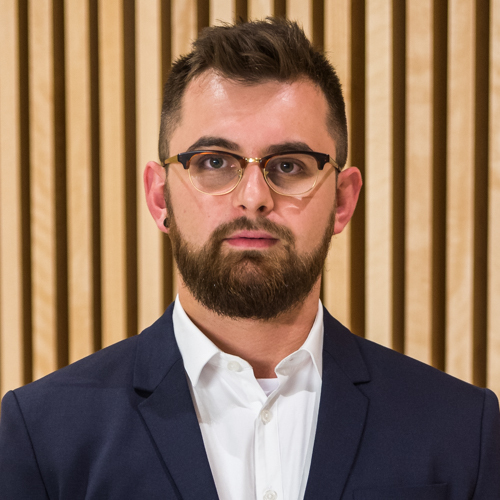 Alex Miller is a public servant who works at the interface of science and policy to enable the sustainable management and development of natural resources. He is currently a policy analyst at Natural Resources Canada, where his work focuses on clean energy and international cooperation. Alex’s academic and professional career has seen him collaborate with young leaders around the world to advance sustainable water resource governance and climate change action, and has enabled him to live, work in, and travel to countries — including Haiti, Korea, Sweden and the UK. 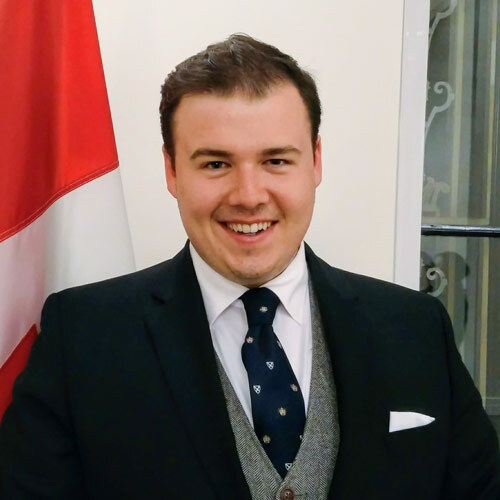 He holds a MSc in Water Science, Policy and Management from the University of Oxford, and a BA in Political Science and Aquatic Resources from St. Francis Xavier University in Nova Scotia. Alex spends his free time exploring Ottawa’s craft breweries for a good stout, its vintage clothing stores for yet another tweed jacket, and its streets for Victorian architecture. You can find him on Twitter and Instagram as @AlexMillerH2O. 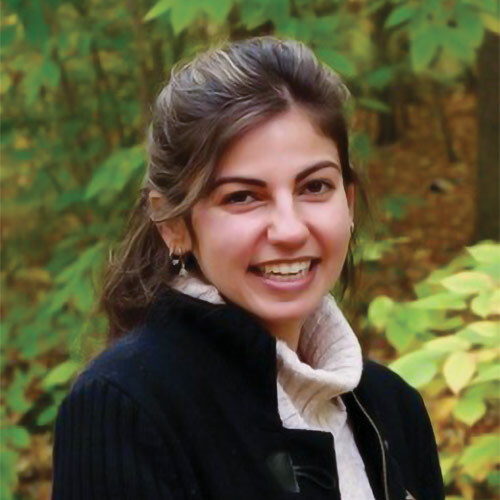 Maryam holds a PhD in chemical engineering from the University of Alberta, where she focused on developing novel techniques for environmentally-friendly solutions for SAGD (steam-assisted gravity drainage) produced water oil/water separation. Maryam also graduated with an MSc in chemical engineering (first-rank honour) from Shiraz University. She was involved in research on wastewater treatment and water management, and designed produced water desalination units using gas hydrates at Fars Engineers Research Center. Maryam has participated in numerous nationwide municipal and international projects related to water and produced water treatment which foster innovation and creativity. 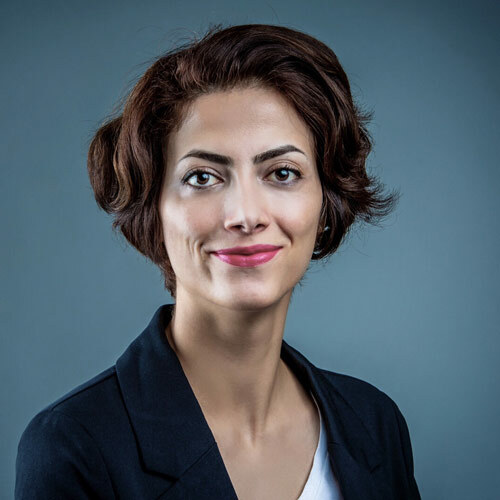 While she was at the University of Alberta, Maryam was also appointed as a Canada Excellence Research Chair (CERC) Graduate Fellow at the National Institute for Nanotechnology. She was selected as one of four finalists for the Water’s Next award in 2018. 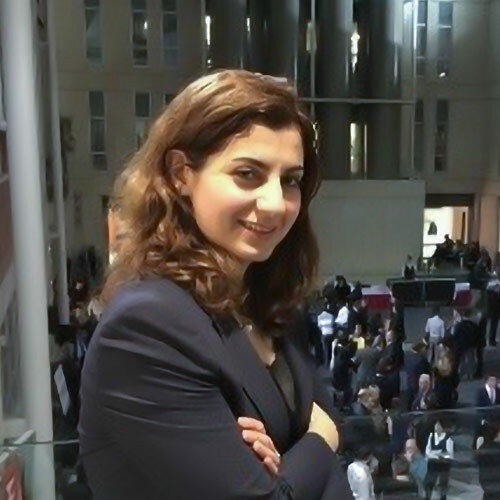 Maryam is returning as a volunteer with CWN’s SYP Committee in a new role. She is a water lover who tries her best to keep the water safe for drinking and swimming. She also finds joy in water sports and won a medal in competitive synchronized swimming. Kelli-Nicole developed her passion for water growing up in Newfoundland, where she was always surrounded by water. She holds an MSc in environmental and life sciences from Trent University, as well as an advanced diploma in water quality from the Fisheries and Marine Institute of Memorial University, and a BSc in Chemistry from Memorial University. Kelli-Nicole is particularly interested in water quality, community engagement through citizen science and education, and climate change. She is currently the Watershed Coordinator at EOS Eco-Energy in Sackville, New Brunswick, where she coordinates long-term water quality monitoring, citizen science water quality monitoring, riparian health assessments and educational activities on watershed issues. Prior to joining EOS, Kelli-Nicole was a Research Chemist at IISD-Experimental Lakes Area. She also worked with an integrated coastal management group in Uruguay on a long-term monitoring system for coastal communities. 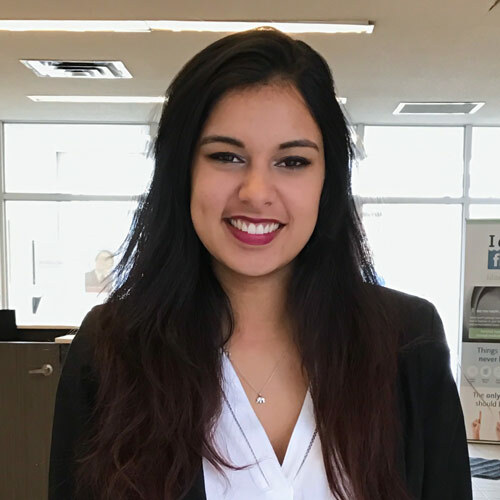 Kelli-Nicole recently participated in Waterlution’s Global H2O Global Leadership Training and Water Innovation Lab in Canada, where she co-founded the Rain It In Student Competition. In her spare time, Kelli-Nicole can be found outside hiking, camping, road biking, on the water, or coordinating the Sackville Ultimate Frisbee League. 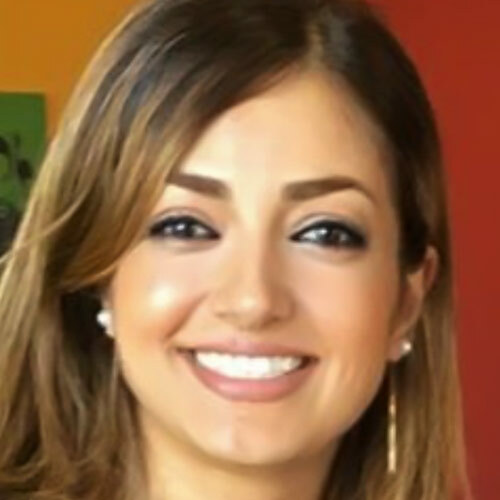 Nikki worked for three years as a water resources engineer in Iran and is currently a PhD candidate at Concordia University in Civil and Environmental Engineering. She is investigating mixing processes in river confluences to address the increasing importance of how emerging contaminants are transforming water bodies. She’s enjoyed numerous opportunities to participate in cutting-edge projects and discuss ideas with senior water resource experts, which has expanded her interdisciplinary knowledge. Nikki is following the latest advances in analytical tools and their applicability to sustainable water management. Nikki is passionate about complex water management challenges. Previously, she volunteered for an NGO in Iran called Women Against Water Pollution. With her colleagues, she met weekly to discuss and raise public awareness of how each individual can contribute to saving freshwater resources. When she’s not thinking about water, Nikki loves reading books, basketball and travelling. Matthew grew up in eastern Ontario, where he was always surrounded by water —swimming, fishing, lifeguarding and exploring the outdoors. He continued to pursue his passion for water by completing a BSc and MSc in biology. Matthew’s graduate research focused on improving fish passage around waterway development. He researched white sturgeon, lake sturgeon, walleye and American eel for their behavioural responses to light as a possible guidance tool. Matthew also trained in identifying benthic invertebrates and monitoring wetland health. Matthew now works for the First Nations community of Kitigan Zibi Anishinabeg, where he leads all wildlife and environmental research. He creates and manages projects for species at risk, such as wood turtles, bank swallows, riverine clubtails and other species at risk that rely on water. Matthew also works with climate change, protected areas and forestry projects to protect water for the community. Matthew’s water interests involve protecting clean water systems, cleaning up degraded waterways, sustainable fisheries and wastewater treatment. He is an advocate to ensure there is clean water for generations to come. Matthew also enjoys dancing, playing pool, swimming, reading, fishing and enjoying the outdoors. Rennie received her MSc in Integrated Water Resources Management from McGill University, where she focused on water and food security. During her graduate studies, she investigated the links between water access, sanitation and nutrition in Hyderabad, India. Rennie’s interdisciplinary background also includes field studies/internships on urban sustainability in Montreal, sustainable agriculture and food security in Cuba, and forest dependency in Vietnam. Linking back to her undergraduate studies in international development and political science, Rennie’s main interests lie in water management for agricultural production, global food security and translating science into policy. Rennie grew up in Vancouver and has always been connected to water. In her free time, she pursues her passions: coffee, cooking, running, reading, biking, hiking, horseback riding and other outdoor activities. 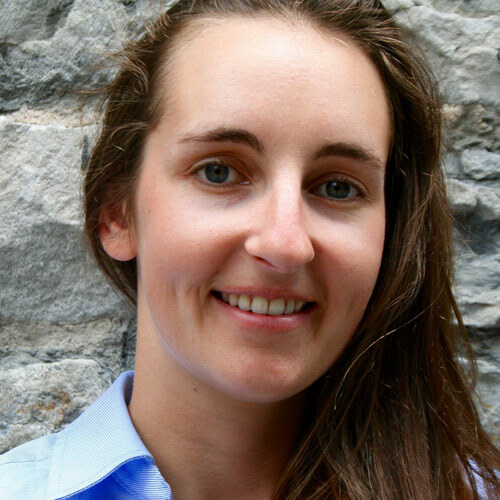 Sevrenne is currently completing a Master of Science in bioresource engineering at McGill University, with a concentration in Integrated Water Resources Management. Her research focuses on the connection between water security and health in Indigenous communities across Canada. Sevrenne is passionate about finding collaborative, creative solutions to complex social and environmental problems, and is dedicated to helping shape happier communities and healthier ecosystems. Sevrenne has extensive experience in environmental education. Previously, she coordinated an urban agriculture internship program for at-risk youth, and delivered science, environmental and engineering programming to youth in remote communities across British Columbia and Nunavut. She has also worked with a peer team to initiate the ECOLE Project at McGill University, which has since grown into a flourishing campus hub for sustainability education. In her free time, Sevrenne enjoys gardening, cooking, riding her bike and exploring the outdoors. Guillaume holds a bachelor’s degree in mechanical engineering from Polytechnique de Montréal, with a focus on energy and international development. He is currently working for the United Nations University Institute for Water, Environment and Health, where he contributes to the development of a policy support system for achieving water-related sustainable development goals. Among his accomplishments, he led a group of young professionals in a one-year project about smart cities in Canada, Finland and Baltic nations. He’s highly interested in investigating how to assure sustainability and well-being under different socioeconomic pathways. Kellie took an indirect route to water research. Initially, she completed a bachelor’s degree in chemical engineering, with a specialization in biomedical studies, at Queen’s University and worked as a process engineer during her summer internships. In her final placement, she was responsible for operating an activated sludge on-site wastewater treatment facility, which developed her interest in environmental engineering. As a result of this exposure, she pursued a master’s degree in environmental engineering at the University of Ottawa, with a focus on brewery wastewater treatment and disposal. During her graduate work she was introduced to water treatment, which prompted her to start a PhD at Carleton University, with an emphasis on water treatment and public health. With her recent transition, Kellie hopes to broaden her knowledge by learning from the many intelligent people involved in this sector. Kellie is also an avid swimmer and reader. She has been a volunteer high school swimming coach, as well as a frequent volunteer for age 25+ and age 55+ swim meets since her days as a competitive swimmer were completed. Christina has lived, worked and studied in the national capital region throughout much of her life. She recently graduated from the University of Ottawa with an MSc in environmental sustainability and began a career in water governance. Christina currently works as a policy analyst for the Canadian section of the International Joint Commission. Christina has always had an interest in conservation and water quality protection. Her particular interests include studying the impacts of microplastics in Canada’s freshwater ecosystems, addressing issues of multi-jurisdictional water governance, and preparing shoreline communities for the impacts of a changing climate with adaptive management strategies. In her spare time, Christina likes to spend time cycling in Ottawa and abroad, and can be found in the summer canoe-camping deep in Ontario’s backcountry. Omar is currently pursuing a Master of Applied Science in Civil and Environmental Engineering at the University of Waterloo. He is fascinated by water, given the numerous possibilities that water present to human livelihood, from consumption, to power generation, to recreation and health. Omar completed his undergraduate degree at the Islamic University of Technology in Bangladesh. During his studies, he had an opportunity to examine societal and engineering water-related issues in the context of a developing nation. In doing so, he came to realize how closely human lives are actually associated with water and that we take this commodity for granted. Omar would like to be involved in bridging knowledge gaps, sharing water knowledge and raising awareness about water as a powerful economic driver. 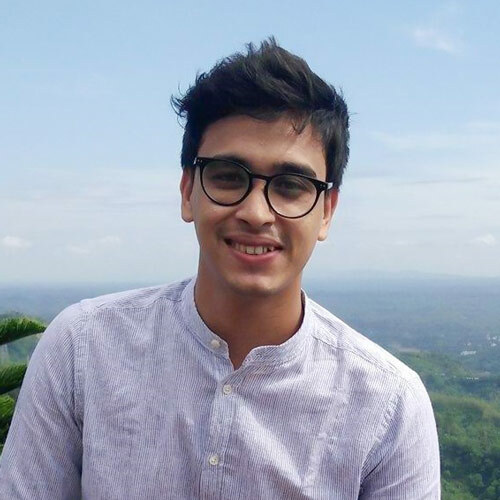 Omar enjoys ‘doing something for the community.’ Previously, he volunteered as the Treasurer for CENNOVATION 2017, which is one of the largest civil engineering competitions in Bangladesh. In his leisure time, Omar enjoys strumming on his acoustic guitar and singing songs, as well as travelling and outdoor activities. Nidhi is currently in her third year of environmental engineering at the University, where she is learning about water and is inspired by initiatives in the sector. 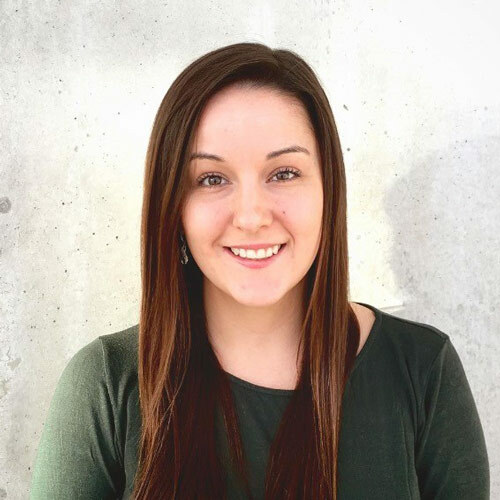 As a co-op student, she’s been employed as an environmental engineering intern in stormwater and wastewater management at the City of Vaughan and participated in the development of mining effluent regulations at Environment and Climate Change Canada. During her co-op term with the Ontario Ministry of Agriculture, Food and Rural Affairs, Nidhi analysed nutrient management drainage and runoff data in the Lake Erie drainage basin and published the results. Nidhi was born in Nova Scotia and has been connected to Canadian waters for as long as she can remember. She spends her free time hiking and doing yoga, as well as participating in initiatives that lead toward a more sustainable future. Anum is an undergraduate student completing her last year of studies in civil engineering at Ryerson University in Toronto, Ontario. She enjoys tackling new challenges and approaching water issues with innovative methodologies. Currently, Anum is focused on her research project on the use of consumer products labelled ‘flushable’ (such as baby wipes and cleansing cloths) and their possible threat to wastewater collection systems. As part of her research, Anum is a strong advocate for raising public awareness around flushing habits. Though many Canadian municipalities have spent time, money and resources developing and delivering educational programs detailing what is and what is not flushable, she believes the problem may be related to a lack of awareness. With an increase in public awareness of appropriate disposal methods, Anum believes consumers may be more concerned with the care around flushing these products or lack thereof to prevent blockages in their homes, which result in inconvenience and expense to homeowners. 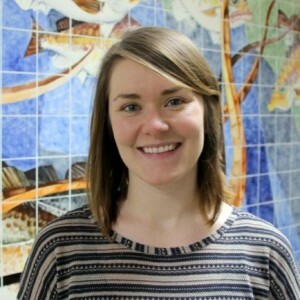 Shirley is a Policy Analyst with the Water Policy and Coordination team at Environment and Climate Change Canada (ECCC). Prior to joining ECCC, she spent four years in academia and industry working in the environment and sustainability field, from researching how climate change affects alpine lakes, to sustainability reporting for a Fortune 500 pharmaceutical. She graduated from Carleton University with a Master of Political Management, and Western University with a Master of Science in physical geography. In her spare time, Shirley enjoys staying active outdoors and reading. Seyi is a student in the Master of Sustainability program at Brock University. Her research focus is the governance elements of water resources, and more specifically, the use of resilience principles framework to improve the outcomes of water governance. She is a member of Brock University’s water resilience laboratory, where they explore, examine and test ways to enhance the sustainability of water resources. Seyi also volunteers for the International Union for Conservation of Nature. Seyi hopes to build a career that is focused on solving environmental issues. She is very interested in helping to bridge the gap between research, policy and practice by translating knowledge and communicating solutions. 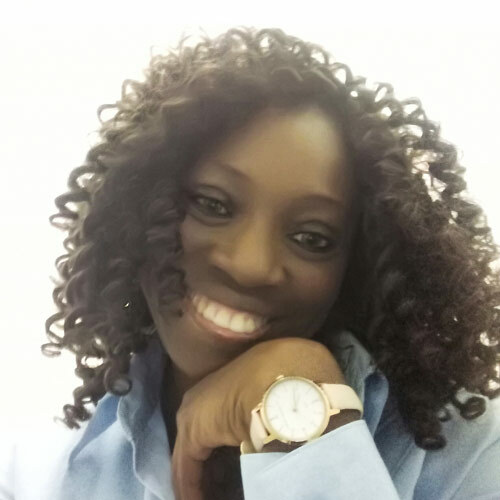 In her spare time, Seyi enjoys volunteering, reading and traveling. Rebecca is an MSc student at the School of Environmental Sciences at the University of Guelph, where she studies freshwater molluscs like clams and snails to help predict the risks that chemicals pose in the aquatic environment and considers how environmental policy can be used to reduce these risks. Rebecca grew up in the Haliburton Highlands surrounded by lakes and rivers. Her family has lived in this area since the late 1800s, and an appreciation for water has been passed down through the generations. At a young age, Rebecca was introduced to white-water kayaking and she still spends as much time on the river as she can. Her goal is to work in the Canadian water sector to help ensure that everyone can benefit from these resources for many generations to come. 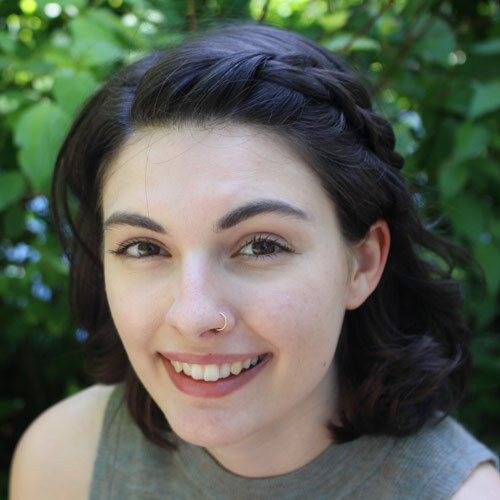 Previously, Rebecca studied environmental science and ecology at the University of Waterloo. During her co-op terms, Rebecca worked for Environment Canada and Climate Change and the Ontario Ministry of Transportation. She is passionate about science outreach and has also volunteered with several organizations to help make research and environmental policy relevant to citizens. In her spare time, Rebecca does Scottish highland dance, loves to spend time outside hiking, kayaking, or snowboarding, and has started learning to play hockey. Michelle completed an Honours Bachelor of Arts at the University of Toronto, with a double major in geography and environmental studies, and a minor in geographic information systems. 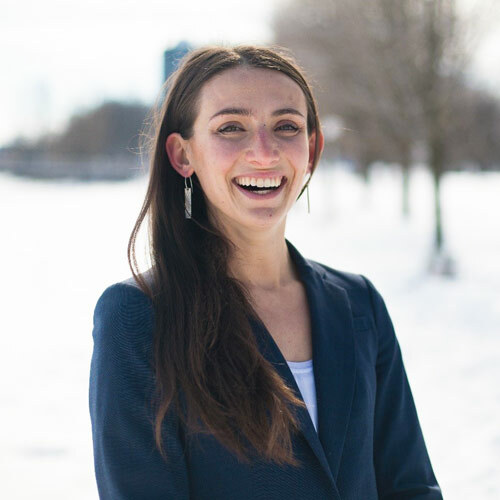 She is in her second year of a Master’s program in environmental applied science and management at Ryerson University, and was awarded the Bruce Fellowship in Canadian Freshwater Policy to support her thesis research, which focuses on the implementation of green infrastructure in the City of Toronto. She has also been working as a research assistant on a collaborative project which focuses on a comparison of water governance in two complex transboundary water governance systems in North America: the Great Lakes and Rio Grande/Rio Bravo. In the past year, Michelle held two internships. One position was with the U.S. Consulate General Toronto Water Harmonization Working Group, working on the initiative, First Steps Towards Better Management of Our Shared Resources: Harmful Algal Blooms in Lake Ontario. Her other position was with the International Joint Commission, where she conducted research and wrote a comprehensive report examining public opinion and engagement in the Great Lakes basin over the last five years. This report included recommendations for strengthening and improving the IJC’s public engagement efforts. 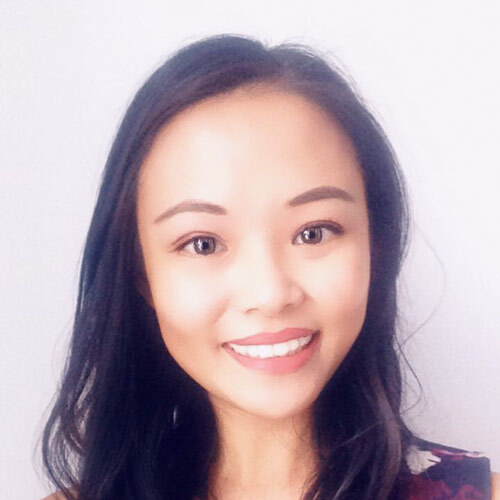 Michelle is currently working as a research assistant on a Ryerson project in partnership with Environmental Defence Canada and the Canadian Environmental Law Association, focused on analyzing best practices and improving public engagement in the Great Lakes basin. In addition to freshwater protection and public engagement, Michelle is also passionate about social and environmental justice and supporting Indigenous resurgence. 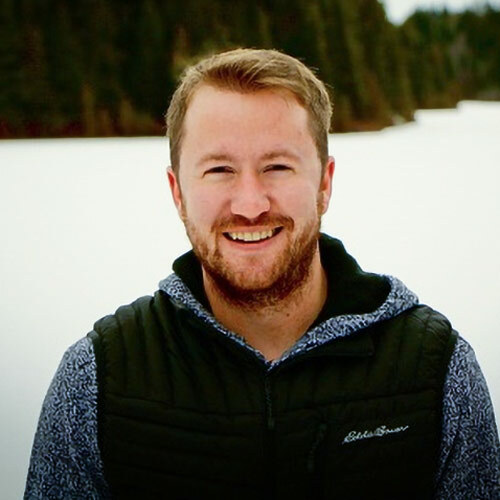 Chris is an aquatic biologist with Golder Associates and has worked on, and traveled to, numerous aquatic monitoring and assessment programs across western and northern Canada. 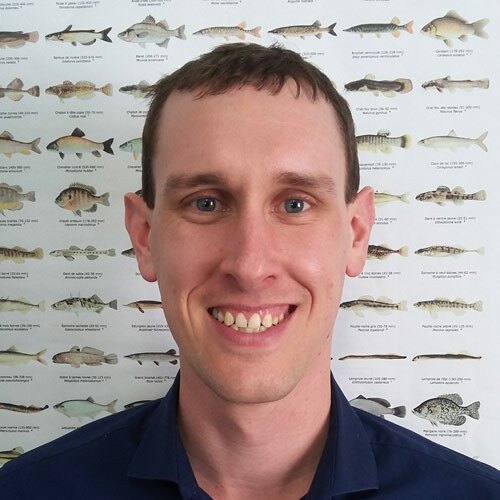 Chris enjoys working on fisheries projects related to the productivity of offsetting plans, and is interested in understanding aquatic environments from the bed up (primary producers>bugs>fish). Chris grew up in Saint John, New Brunswick, where he spent most his time sailing and fishing (but not catching) on the Saint John River and the Bay of Fundy. As a result, Chris became deeply fascinated with river, lake and marine ecosystems, which led him to complete a BSc in environmental biology at the University of New Brunswick. Chris then moved to Bimini (Bahamas) to study sharks. This experience made Chris realize that he needed more education, which led him to complete an MSc in aquatic ecology at the University of Western Ontario. 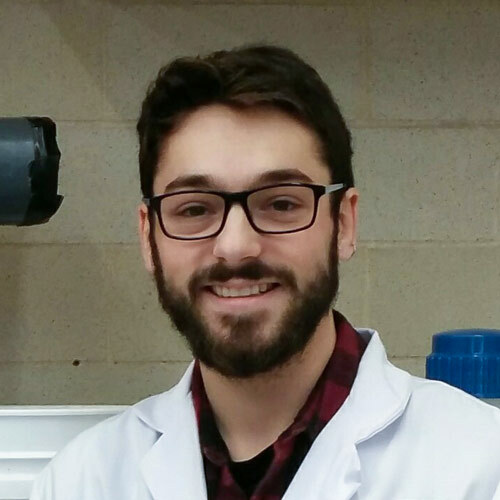 For his thesis, Chris studied the effects of wastewater effluent on aquatic ecosystems. Taisiya is passionate about surface water and groundwater quality, quantity and accessibility issues on regional and global scales. She holds a Bachelor of Science in environmental science from the University of Alberta, and currently works as a Water Approvals Coordinator with the Government of Alberta. In this role, Taisiya reviews and implements water-related legislation in the province. Given her policy and operations experience, she is interested in connecting scientific expertise with regulatory tools, as well as providing education about water-related issues in the province. Taisiya also volunteers with the Centre for Affordable Water and Sanitation Technology (CAWST). In her spare time, she enjoys playing tennis, spending time in the mountains, running, biking and skiing. Michael is an environmental geoscientist at Advisian, where he supports various groundwater projects in the oil and gas industry. He holds a BSc in geology from the University of Alberta and believes in a multidisciplinary approach to solving water resource issues. Previously, Michael was involved in the Brownfield Redevelopment Grant Program at the City of Edmonton, where he learned how effective municipal policy can transform a city’s landscape. He also completed a novel research project that modelled water scarcity issues and forecasted the effects of climate change in Alberta. In his spare time, Michael enjoys hiking, skiing and playing the alto saxophone. Mehrnaz is a water and wastewater process engineer with WSP in Winnipeg, where she is involved in various projects. Her work primarily involves technical and financial analysis of the implementation of technologies in drinking water treatment and municipal and industrial wastewater treatment. She has worked with a diverse range of clients, including smaller municipalities, First Nations communities, and communities in the Far North. Mehrnaz completed a PhD in Civil and Environmental Engineering at the University of Manitoba. She was also a post-doc fellow in the Water-Wastewater Laboratory and remains a sessional instructor. Mehrnaz’s PhD research focused on targeting Dissolved Organic Carbon (DOC) as the main precursors of carcinogenic disinfection by-products (DBPs), which are a primary challenge in many municipal drinking water treatment plants. Mehrnaz is originally from the northwestern region of Iran, which is the coldest area of the country. This prepared her to live in beautiful, friendly and cold Winnipeg! She’s had an opportunity to experience living in multiple countries and seeing different cultures. That’s why she always loves exploring new destinations and countries. Mehrnaz is the mother of a beautiful baby girl — Sophie — who takes up most of her spare time! 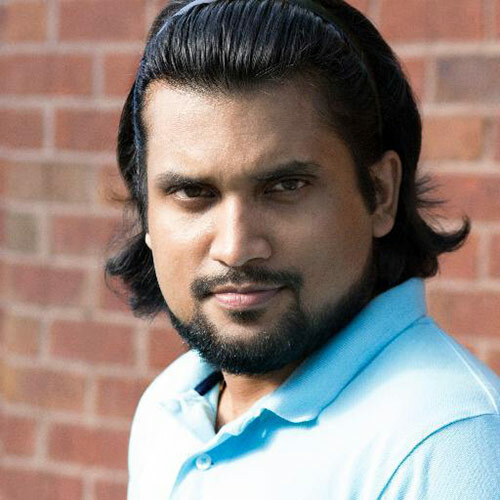 Palash is a development practitioner and is currently working at the School of Environment and Sustainability at the University of Saskatchewan. He holds multiple graduate degrees in development studies (Bangladesh), environmental engineering (USA) and water security (Canada). He is an Alumni Ambassador for the Clinton Global Initiative, and in 2018, he was selected by Corporate Knights as a Top 30-Under-30 Sustainability Leader. Palash has worked with clients in remote and vulnerable communities, including the urban pro-poor in Bangladesh and Indigenous communities in Canada. Previously, he worked for the International Fund for Agricultural Development, WaterAid, TEDTalk, Global Voices, Soliya and other international organizations. He has extensive experience in the WASH sector on new technology design and development, implementation and sensitization. Varshini grew up in India, in a landlocked city with severe water scarcity issues which instilled in her the importance of access to clean drinking water. She is passionate about making water accessible for all, as she believes that access to water is a right and not a privilege. 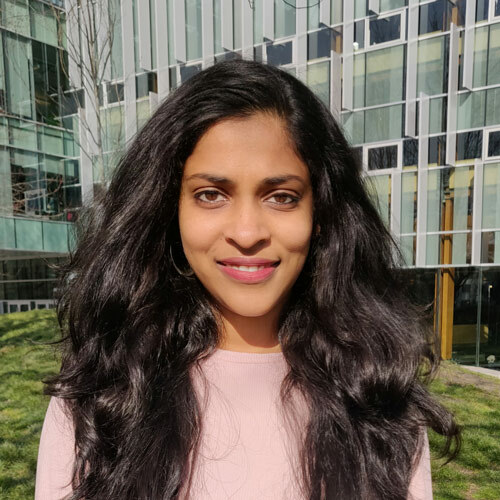 Currently, Varshini is a master’s student at the University of British Columbia (UBC) in environmental systems engineering. Her research centres around small-scale drinking water treatment for remote communities. 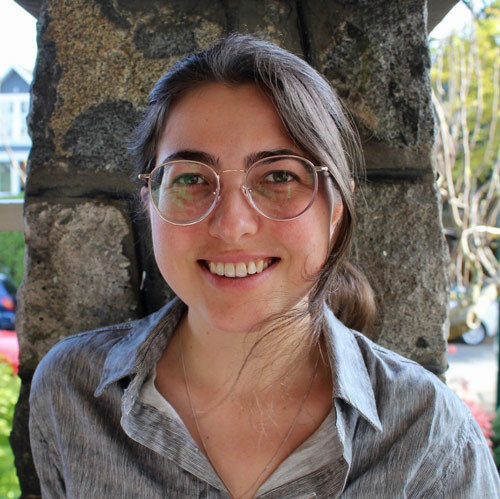 She is also a part of the BCWWA student chapter at UBC, where she organizes conferences and social events to bring industry and academia together. Outside of work, Varshini loves Zumba® dancing, reading and anything to do with the outdoors. 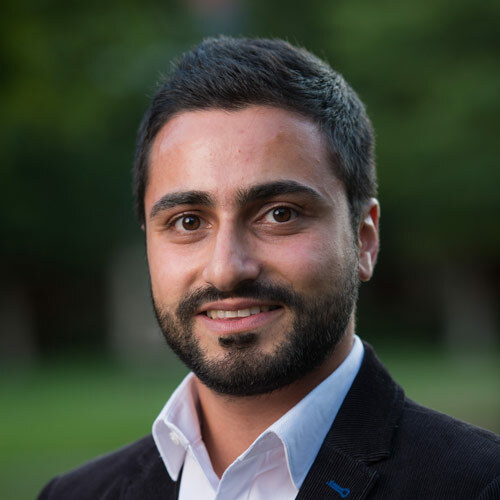 Kamal is excited to employ his interdisciplinary skills and interest in watershed analysis and water resource assessment to his work in British Columbia and Canada. This, together with his diverse background in technical and consulting work with government, academia, NGOs and local traditional communities, shapes his approach to addressing water issues. Kamal is a recent graduate of the University of British Columbia’s Master of Land and Water Systems program. During his studies, he focused on two issues of growing importance: international transboundary waters, and integrated resource recovery in the context of the Abbotsford-Sumas Aquifer and the Okanagan bioregion. Growing up in Jordan (one of the world’s most water-scarce countries) fueled Kamal’s commitment to addressing water issues. He completed his BSc in environmental engineering at the German-Jordanian University and participated in a one year engineering internship in Germany designing water and wastewater systems. He has also worked with the WANA Institute, a policy development think-tank based in Amman, on projects targeting common pool natural resource governance, climate change adaptation and agricultural water management. Kamal enjoys dancing the Argentine tango, and lives a few minutes’ walk from the UBC Opera and Chan Centre for the Performing Arts. Kamal enjoys classical music and tries to attend every performance at UBC. He also brings a passion for the outdoors wherever he goes. Emma grew up on Vancouver Island, where she developed an affection for rivers, lakes and the diverse environment of coastal British Columbia. She completed a Bachelor of Science in Natural Resource Conservation at the University of British Columbia, which included environmental policy research in Indonesia and Malaysia. 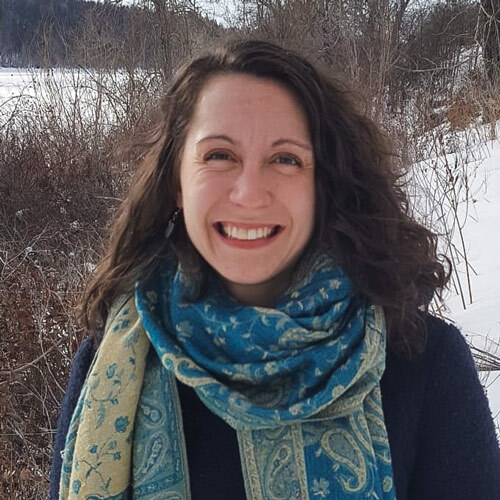 Through these experiences, Emma became increasingly interested in the role that freshwater plays in supporting communities and the environment, which eventually led her to pursue an MSc in Integrated Water Resource Management at McGill University. 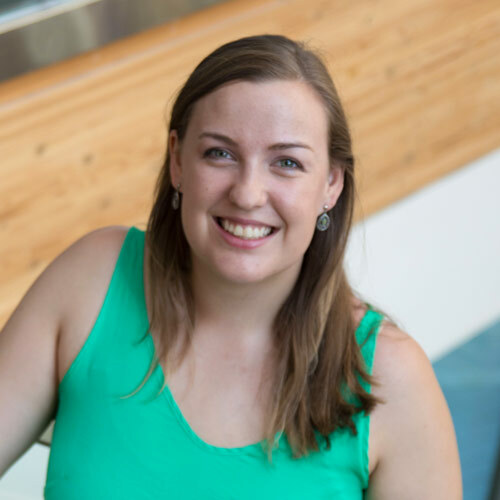 Since then, Emma worked as a policy analyst for the Water Policy and Coordination team at Environment and Climate Change Canada, and recently started a role as Water Program Advisor for the Government of Yukon. 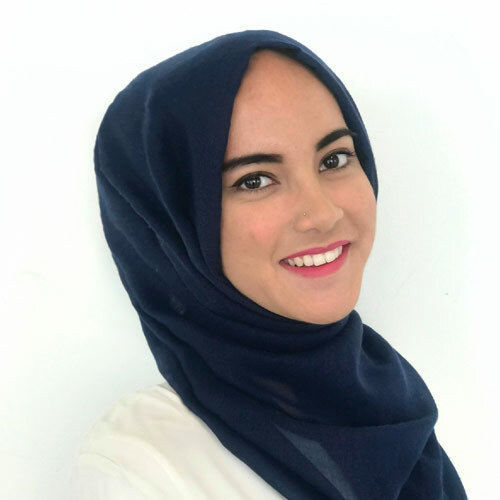 She is particularly interested in transboundary water management, water co-governance approaches, the connection between forest ecosystems and water, and youth and community engagement. 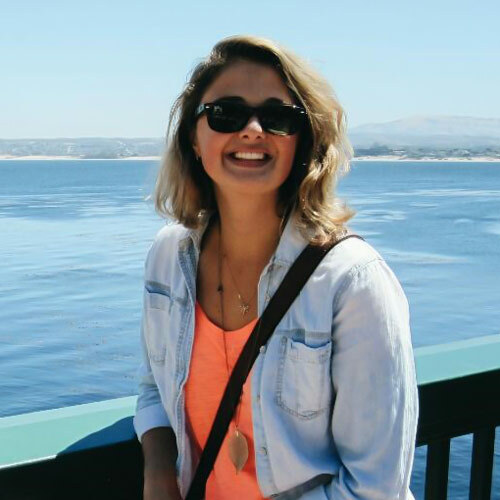 Emma enjoys connecting with new people, mountain hikes, cooking for friends, and of course, anything water-related.